Fans of NPR’s Wait, Wait, Don’t Tell Me are familiar with the concept of jumping through hoops to have a celebrity announcer record the outgoing message on their voicemail. Here is a chance to have one of Greenville’s most distinctive voices record yours. FAC Director Dr. Roy Fluhrer will record the outgoing message on your voicemail as himself or as one of the many celebrities he can so adeptly impersonate. Make us an offer we can’t refuse at the A Taste of the Fine Arts auction, and the Godfather himself may be greeting your next caller! We'll have a li'l something for everyone at A Taste of the Fine Arts, and Phil Hyman Photography wants to make sure that you have something your whole family can treasure. As a family-owned and operated portrait studio, the folks at Phil Hyman know what makes a family photo special and how to snap the best shots of your family. From their specialized personal portrait planning to helping you select the perfect picture, your photo session at Phil Hyman will be tailored specifically to your individual needs. 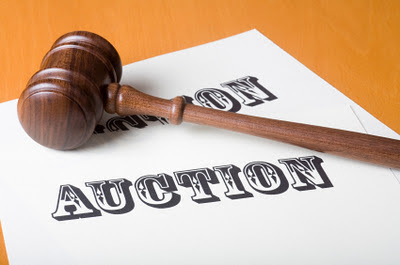 Take home a certificate good for a portrait session and a $200 print credit at our auction on Friday, February 3rd. 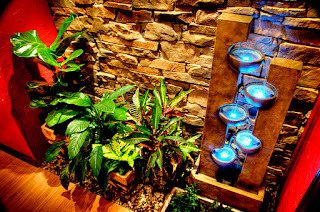 To see more about A Taste of the Fine Arts, click on the label at the bottom of this post. Tickets are available in the FAC office or online. 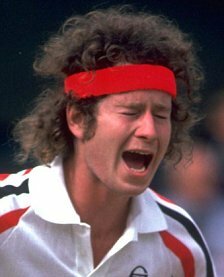 Ah, but we are serious... A new Dunlop tennis racquet and case, autographed by (you guessed it) John McEnroe, is up for grabs at A Taste of the Fine Arts on Friday, February 3rd. The excitement is almost enough to make you want to throw something, but we encourage you to do a happy dance instead. You can at least be happy that your hair looks better than John's did in the early '80s. If golf is more your sport than tennis, we have something for you, too. You can take home a new set of clubs, a bag, a case of new balls, a backpack and golf apparel from Golfsmith. Whichever sport you love, come share it with us at FAC on Friday night. Tickets are available at the FAC office or online. By attending A Taste of the Fine Arts, you're doing something nice for the Fine Arts Center. Do something nice for yourself in return by stocking up on indulgent treats such as a yoga package from Greenville Yoga, a haircut and color plus one-hour massage from dv8 Salon, three nutritional consultations with a registered dietician at Nutrition Solutions, hair products and services by Hair Bella, a chocolate bouquet by Chocolate Dreams, jewelry by local artists, and gift certificates for the Orchard Inn in Saluda. Come peruse these and many other auction items on Friday, February 3. Click on the "A Taste of the Fine Arts" label at the bottom of this post to view more auction items. Tickets are available in the FAC office or online. We promised there would be plenty of art on the menu at A Taste of the Fine Arts, and local artist Patricia Kilburg is helping us deliver it. Join us on February 3rd for a chance to enjoy some "Primordial Soup" with these two encaustic paintings from her series by that name. Want them "to-go?" Bid on them at our silent auction! Click on the "A Taste of the Fine Arts" label at the bottom of this post to see more auction items and event info. Tickets are available in the FAC office or online. Imagine an evening in which a private chef comes to your home and prepares a sumptuous feast. 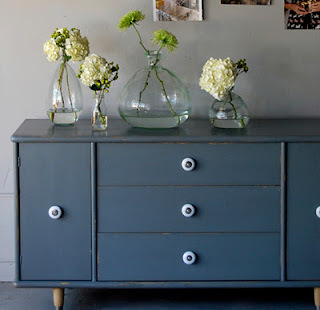 You prepare drinks for your guests and serve them in handmade glasses, and everyone admires the unusual vase full of fresh flowers on your table. You pass a wonderful evening with friends lit by the soft glow of a lantern and end the evening quite pleased that you attended A Taste of the Fine Arts to make it all possible. Tickets are available in the FAC office or online. Click on the "A Taste of the Fine Arts" label at the bottom of this post for more information. Although A Taste of the Fine Arts is starting to look absolutely fabulous, there's no need to dress to the nines to attend. Opt for business casual over black tie, and you'll be comfortable enough to enjoy the arts as well as the fantastic fare from Saskatoon, Bagatelle and Coffee Underground. Come join us! 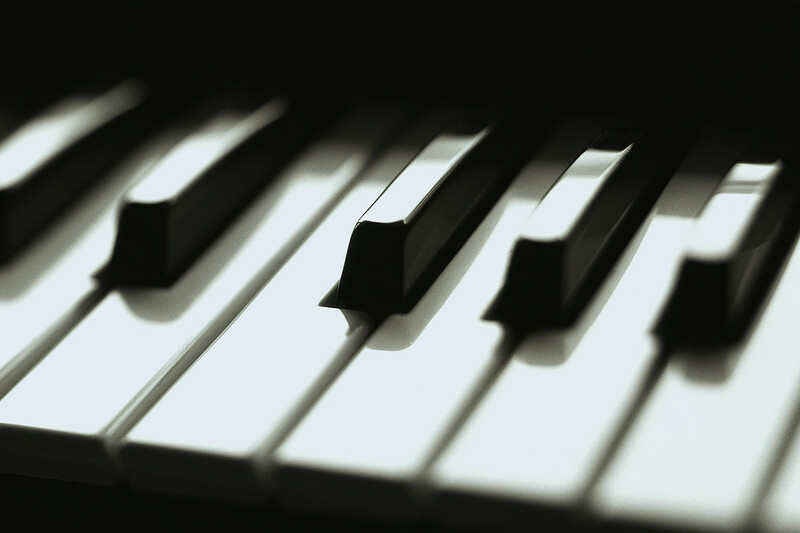 If you'd love to add the mellow ambiance of a piano bar to your next event or gathering, look no further. Dr. Jon Grier, music theory instructor for the Fine Arts Center and bonafide piano man, will tickle the ivories with two hours of jazz piano just for you -- if you are lucky enough to win his services in an auction at A Taste of the Fine Arts on February 3rd. Get your tickets today at the FAC office or online! Click on the A Taste of the Fine Arts label at the bottom of this post for more information about the event. 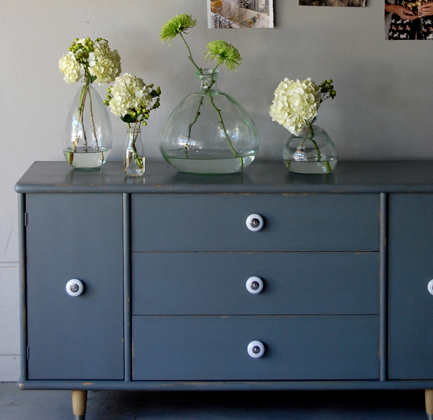 Looking for something pretty to cheer up the grey winter days (or just your grey winter wardrobe)? 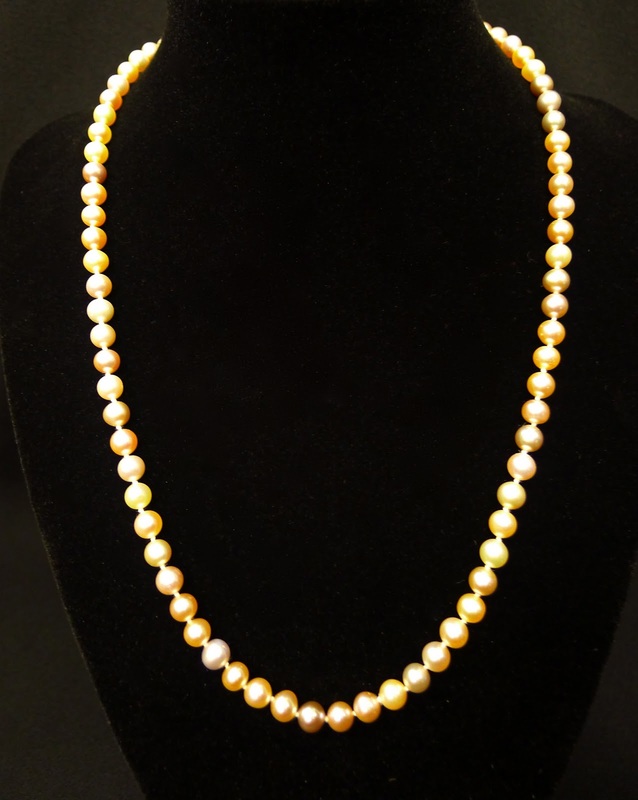 Come to A Taste of the Fine Arts on Friday, February 3rd, and bid on this gorgeous 18" strand of natural color freshwater pearls from Pace Jewelers. 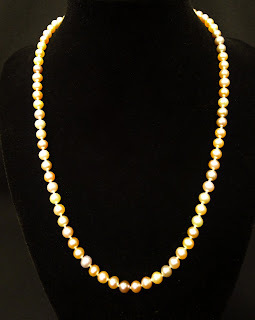 This lovely necklace boasts a 14K gold safety clasp to make sure you feel secure wearing it anywhere, which means you can don your pearls along with your favorite Louboutins while you re-grout the bathroom. Buy tickets today at the FAC office or online. No matter how fast the car, it won't get very far without tires. Burn some rubber of your own with a set of four brand new tires from Michelin North America. 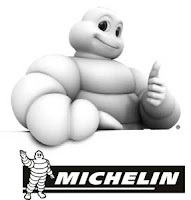 Place your bid at A Taste of the Fine Arts on February 3rd, and you could take home a set of 17, 18, 19 or 20 inch passenger or light truck tires from Michelin. Buy tickets to the event at the FAC office or online. Start Your Engines, Race Fans! We just can't get enough of fast cars and unique driving experiences for this year's A Taste of the Fine Arts auction! 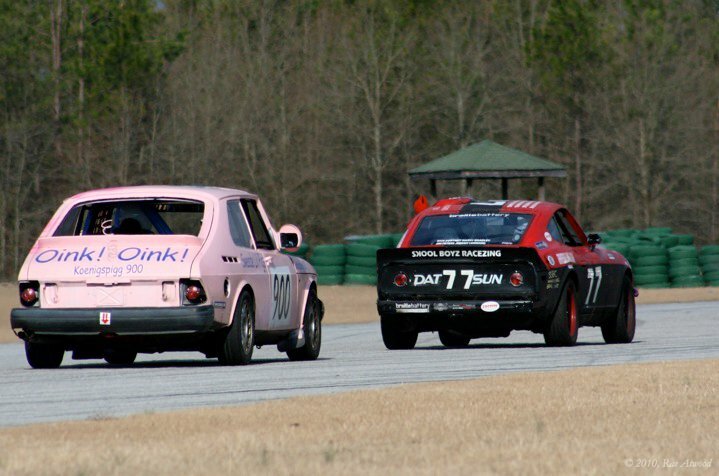 Here's what you need to know about endurance car racing: you get to drive really fast on a real track in a real race. Really! Sweede Lil Pigs Racing and the Chump Car World Series have donated a chance to sit in the drivers seat of a race car for an event in the 2012 season. The winning bid will include the entry fee and competition license, rental of a driver's suit and helmet, a team shirt, entry to the race for your family and hours of seat time behind the wheel doing the actual driving. 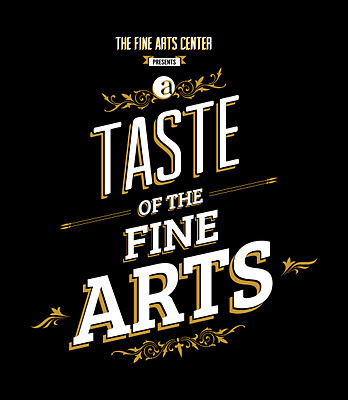 Buy tickets for A Taste of the Fine Arts at FAC or online. Sixteen visual arts students from the Fine Arts Center participated in the Scholastic Art Awards at Lander University. Founded in 1923, The Scholastic Art Awards are the longest-running, most prestigious recognition program for creative teens in the U.S. and the largest source of scholarship funds for young artists. This awards program showcases outstanding work being produced by students and schools from across the nation. As an annual sponsor, Lander University has hosted the South Carolina regional exhibition for Scholastic for the past 22 years. Philip Hatfield won an American Vision award for his sculpture, Trinity. The works of Denzel Harrison, Micah Peek, Madelyn Knight, Catie McCauley, Weston Catron, Stephen Simmons, Anna Huff and Sierra Snipes were selected for exhibition in the show. Congratulations to all of these talented artists. 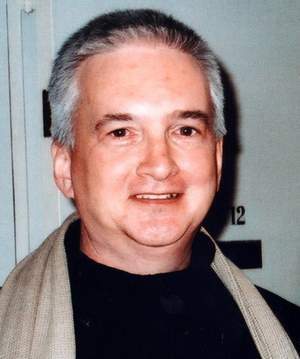 In November the Fine Arts Center lost beloved retired voice teacher Michael Rice. Dr. Fluhrer, Director of the Fine Arts Center, co-wrote an editorial to the Greenville News with Bingham Vick Jr. The Greenville News recently published the following response by Frank Garlock, which we would like to share with all of you. I want to compliment The Greenville News for printing the recent column on Michael Rice. Although I never knew him personally, as a music teacher myself for almost 60 years I wish I could have known this Greenville native because of the influence he had in his chosen profession. The comments by outstanding musicians in the column reveal the things that made him so successful. I believe that any teacher who wants to be effective, in whatever field he has chosen to teach, would do well to emulate the philosophy and life of Michael Rice. Of course, in this case, we're talking about golf. 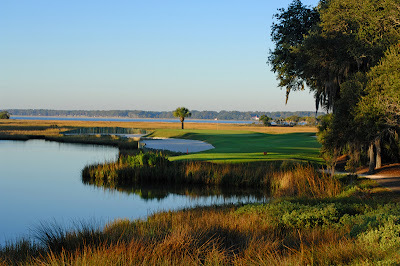 The RBC Heritage will be played from April 9th-15th on Hilton Head island, and you could be there with two Clubhouse Badges good for access to the tournament grounds for all seven days, admission to the Clubhouse and the Heritage Pavilion, and access to two on-course hospitality venues boasting great views. The RBC Heritage is South Carolina's only PGA tour event, so don't miss this chance to gain access and support the Fine Arts Center. Join us for A Taste of the Fine Arts on February 3rd and place your bid in our silent auction. Purchase tickets today at the FAC office or online. 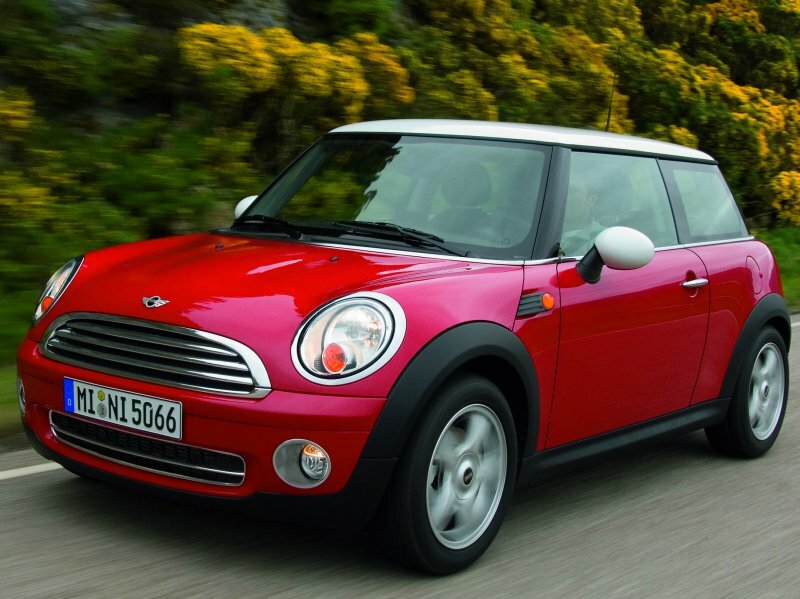 Spend the weekend motoring around in a super cool MINI Cooper. You'll be able to pick the model that suits your fancy on a Friday and keep it until noon on Monday. Purchase tickets for the event at FAC or online. Clive Owen. Pierce Brosnan. Jason Statham. Yes, they are all British actors, but they have something else in common. All three became famous in roles where they were featured driving BMWs. Fast. Like they were meant to be driven. If you've ever dreamed of driving one of these high-performance machines with absolute confidence and control, here's your chance. You will have the opportunity to bid on a BMW Performance Driving School experience at A Taste of the Fine Arts on February 3rd. The one-day Car Control School is designed to teach you how to handle your vehicle in any situation -- like when the baddies are after you and all you have to rely on are your instincts... and your car. Purchase tickets today for A Taste of the Fine Arts at the Fine Arts Center office or online. Special thanks to BMW Manufacturing Co., LLC for its support of the Fine Arts Center and A Taste of the Fine Arts. If the marvelous new logo is anything to go by, A Taste of the Fine Arts is going to be a sensational event. We’ll reveal auction sneak peeks and more information in the coming days, but today all eyes are on the logo and its creator, Michael Shillingburg. Michael is a senior visual arts student at the Fine Arts Center. This is his third year in the visual arts program and, due to some inspired advance planning and a grueling academic year as a freshman at Wade Hampton, he now gets to spend all day at FAC. As you can see by the work showcased here, Michael is predominately a photographer. At least that’s where his passion lies. He’s also a clever graphic artist (ahem, look at that logo again, ladies and gents) who plans to study graphic design and marketing in college. Michael has his well-trained eye on doing just that at the Maryland Institute College of Art (MICA) next year. Although he has applied to several other outstanding programs, Michael says his top pick is MICA. He attended a summer program there last year after finding out about it at FAC. His instructor encouraged him to apply to MICA’s Summer Pre-College and recommended him to the institute. He was invited to attend and was able to do so thanks, in part, to a grant provided by the Fine Arts Center Foundation. Michael unhesitatingly says that his life would be very different without FAC. He doubts that he would ever have discovered his interest in photography, and he says he certainly would not be on the same career path or have plans to attend MICA. He’s done a little bit of everything in his time at the school, including drawing, painting, sculpting, ceramics and metals. The opportunity to explore all of those aspects of visual art allowed him to hone his interests and begin to develop them. It looks like he’s off to a very fine start. The Fine Arts Center is offering a Day of Dance on Saturday, January 21st. The Fine Arts Center high school dancers are volunteering their time for this event, and an intermediate ballet class will be taught by FAC dance instructor Jan Woodward. The intent of the workshop is to offer dancers the opportunity to take class with other dancers in the community who have a similar passion and interest in dance. The classes offered will be similar to the dance curriculum taught at FAC, with classes in modern dance, improvisation, ballet, repertory, musical theatre and hip-hop. 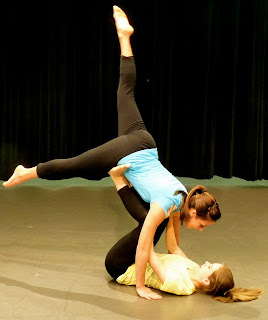 Fine Arts Center high school students will teach some of the choreography that they have been creating, so it should be very interesting for students. The final portion of the workshop will conclude with an informal performance, in which students can share what they learned in the repertory class. We hope dancers will bring some of their own choreography to share as well. Students may register for up to three classes (one class for $7, two classes for $12, or three classes for $15). There is no charge for the informal performance. Check-in begins at 9:00 am in the lobby of the Fine Arts Center and the day will end by 3:00 pm. Students may bring their own water bottles, but liquids other than water are not allowed. Students may bring a bag lunch that does not contain greasy foods or other messy items. There is not a cafeteria available for students. Students in grades 4-12, as well as adults, may attend. Students should pre-register with Jan Woodward by contacting her here. Registration may be possible on the day of the event on a space-available basis. All classes will be held in the Fine Arts Center building. 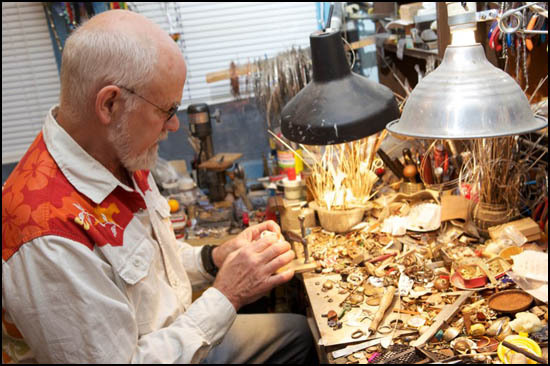 Renowned metalsmith and Fullbright scholar Bob Ebendorf will be giving a lecture at the Fine Arts Center at 7:00 pm on Friday, January 6, 2012. Ebendorf's work may be found in such prestigious collections as those of the Metropolitan Museum of Art in New York City and the Smithsonian Institution. 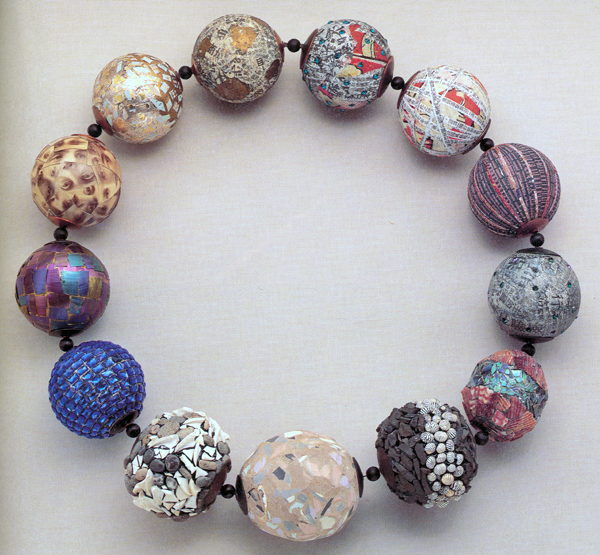 Don't miss this opportunity to attend a lecture with this distinguished artist and educator.